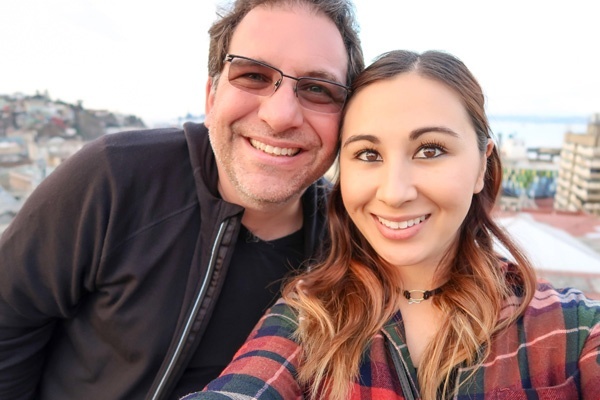 The adventures of Kevin Mitnick and his girlfriend Kimberly. Kevin called me and told me a story how they were crazy enough to track down a lost (stolen?) bag in Mexico city. His GF Kimberly wrote up the story. Enjoy! "Travelling constantly around the world is always an adventure especially with four carry-on bags and five checked bags filled to the brim with electronics for Kevin’s live hacking keynote presentations. Landing in Guadalajara, Mexico earlier than expected was a pleasant surprise. The next couple of hours however, were an experience similar to a thriller movie. Waiting at the baggage claim, our eight bags are all accounted for except the last checked roller bag. That feeling of dread starts to sink in after five minutes when the baggage belt starts to thin out and the passengers from our flight start to line up for customs. Thankfully our proactive recent purchase of the Tumi Global Locator that tracks our bag’s location springs to mind. I decide to refresh the Tumi Global locator status to track down the location of the missing bag. The app locks in the position right next to the baggage belt, we scan frantically for the bag to no success. The majority of the passengers that were on board with us, have since left and are lined up for customs. A horrible gut feeling arises from the pit of my stomach as I come to terms that someone may have accidentally or deliberately taken the bag. Kevin and I flag a Delta baggage handler to complete a lost baggage claim receipt. Meanwhile I am tapping refresh on the Tumi Locator GPS location to see if the bag is still inside the airport. To my horror, the blue dot jumps outside the airport and appears to be located where the taxi rank is. This is the moment I realize that someone has actually taken my bag. 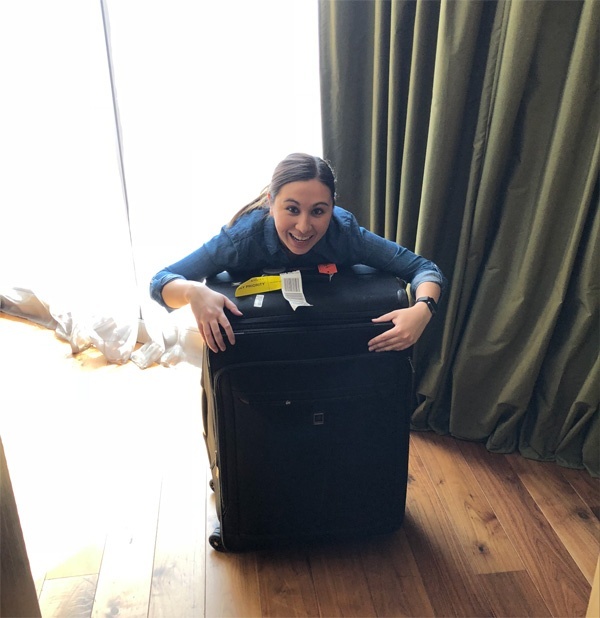 Suddenly, all of the clothing items, personal mementos, my favorite walking shoes and other items that I store in my checked bag start to flash before my eyes. My emotions quickly shift from shock to anger as I start to contemplate who could do such an awful thing. Not knowing whether the person mistakenly walked out with the bag or deliberately stole the bag is going through my mind, neither option helped much. Thankfully the Delta agent who assists us, allows us to bypass the long line through customs and we reach the front of the line to exit the airport. As we meet our driver, we quickly fill him in on the story of my missing bag. Our driver upon hearing the news of us knowing where the location of the bag is, suggests why not just chase after the bag? We both look at the driver, and back at one another not knowing if it’s a stupid idea or whether we should attempt to retrieve the bag. We both make the decision to drive to the location and depending where the bag location is, we could make a decision to peruse, contact the police or do nothing. Fifteen minutes of of chasing the blue dot leads us to a hotel. A slight glimmer of hope appears, knowing that we could question the front desk of the hotel to see if anyone checked in moments ago. To our sadness, one of the front desk staff informs us that no one with our bag description recently checked in. That glimmer is squashed and we decide to walk around as the neighborhood appears to be safe and we quickly compare the blue dot to our current location. As we head back to the car, knowing that our chance of retrieving the bag is slim, a man comes dashing out from the hotel to say they have reviewed their surveillance footage of the last thirty minutes and a man with a similar description of our bag did in fact check in. My heart begins to race, and we rush back into the hotel and the hotel owner greets us inside the surveillance room. To our surprise, the owner allows us to review the footage to confirm a match on the bag. Fast forwarding the playback twenty minutes in, I catch a glimpse of a man rolling in MY BAG to the front desk. I almost yell in delight that this is indeed my bag as the tags on top were clearly identifiable. The hotel staff swiftly spring into action and walk us to the room in question with my bag. Our driver, knocks on the door and we wait. We wait patently for what felt like five long minutes until a young female meekly opens the door. Our driver, quickly explains the situation in Spanish and the young lady explains that she has no such bag. We insist that we have proof of this bag walking in with a gentleman to this room. Her demeanor shifts, and reluctantly walks back into the room and returns with the BAG. Shortly after, the gentleman that was pictured in the surveillance footage makes himself known. Refusing to believe our side of the story, Kevin retrieves the key for the lock on the bag and unlocks the bag. The gentleman changes his story and says ‘oh your bag has the same broken zipper on the front just like his’. We exchange a look of ‘yeah right!’ and before we spend a moment longer than necessary. Kevin wheels the bag away and walks the bag safely into the van. We thank the hotel owner and staff who spent the time to investigate the matter. Without their help we certainly would have never seen the bag again. As we leave to our final destination, we look at each another in a mix of both joy and shock as we cannot believe our luck. What a day!